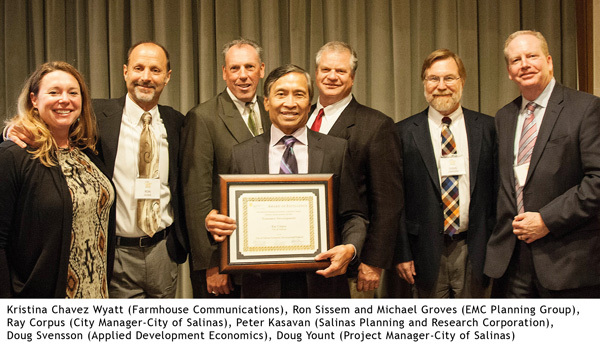 EMC Planning Group is proud to announce it has been honored with an Award of Excellence from the American Planning Association (APA) California Chapter Northern Section for its work on the new City of Salinas Economic Development Element (EDE). 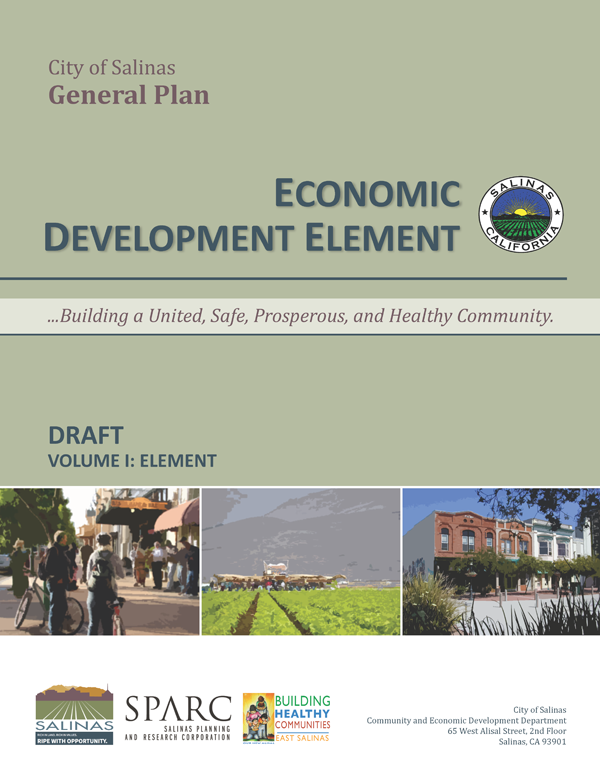 An economic development strategy to achieve a vision of a united and sustained economic prosperity for Salinas, the EDE is to be incorporated as an element of the City’s General Plan. The EDE was prepared by EMC Planning Group and a team of technical subconsultants in collaboration with the City of Salinas. More importantly, the EDE content was substantially influenced by input generated through a community outreach process whose extent was unprecedented in the City’s history. The more traditional EDE economic development strategies address: land use, circulation, and infrastructure; retail, entertainment, and tourism; job opportunities; workforce development; and neighborhood and commercial areas. The EDE is unique for its inclusion of strategies to improve quality of life through improved safety and health. EMC Planning Group was assisted by Building Healthy Communities for this component of the element. Improved quality of life is seen as a fundamental component of improving community prosperity and attracting economic development investment. 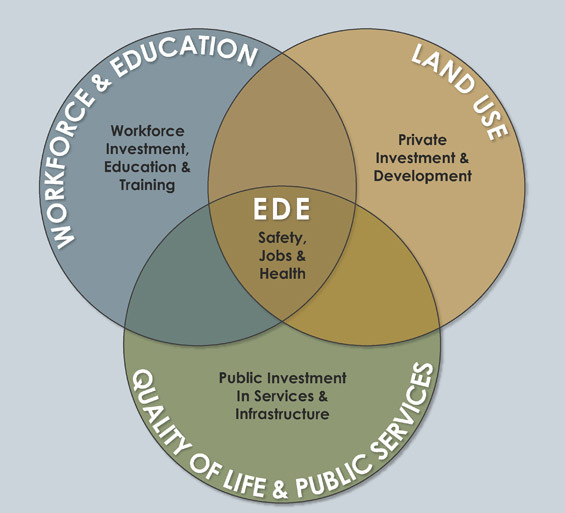 The EDE contains policies and specific actions for implementing policies. It also includes a five-year action plan and a monitoring and evaluation program to track implementation progress. 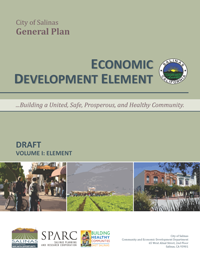 To move its economic development agenda forward, the City is integrating the costs of short term EDE actions into its priority based budgeting process. EMC Planning Group, an award-winning environmental and land use planning consulting firm, has been providing services to public and private clients for 37 years. The firm specializes in CEQA/NEPA compliance, biological resources assessment, real estate land use feasibility design services, development entitlement processing, and preparation of planning and zoning documents. For more information about EMC Planning Group, please call 831.649.1799 or visit out web site at http://www.emcplanning.com. Copyright © 2014 EMC Planning Group Inc.